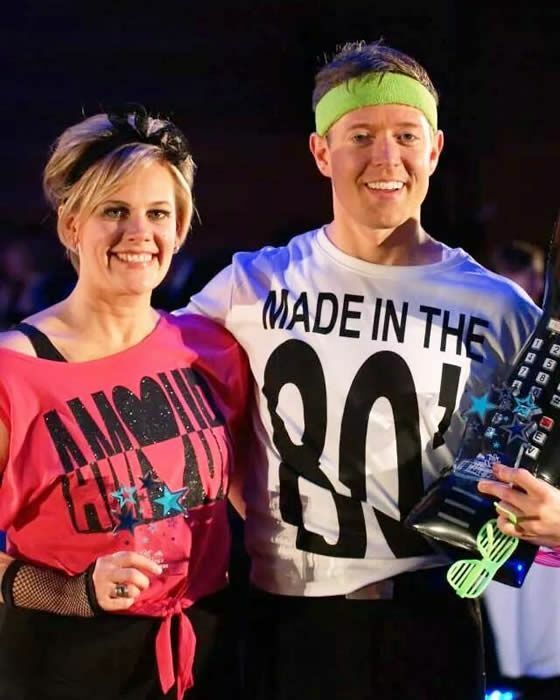 Shane Haggerty, relationship banker in St. Paul, recently volunteered his time and talents to raise funds for the CornerHouse, winning their Let’s Dance competition. The Let’s Dance annual gala features a dance-off competition between local celebrities who are paired with professional dancers from local dance studios. Haggerty, who owns his own dance business, was paired with Jessica Miles, TV anchor for ABC Channel 5 News, during the competition. The two were energetic to participate for the cause. Couples could only spend 12 hours together in preparation for their debut, but the competition required more time than that if they wanted to win. Miles and Haggerty both spent time outside of rehearsal on costuming, practicing their individual parts and fundraising for the event. "I enjoyed being able to give back through the art of dance," said Haggerty. "I believe that dance is a universal language; it has the power to speak to people. I wanted to share the courage, strength, honor and purpose it restores to people." The couple received a perfect score and won first place in the competition. They also raised a lot of money for CornerHouse with a sponsorship from Associated Bank. "Giving to CornerHouse provides children with strong voices to be heard," said Haggerty. "CornerHouse is a community resource for children of abuse and an accredited Children’s Advocacy Center. The child is their first priority." Before the competition Miles and Haggerty also performed live on “ABC Channel 5 Twin Cities Live.” View their interview here.